Love reading your books. Can't put them down. Great looking reads. All new authors to me. So, looks like I have great TBR pile for the rest of the summer. Love all of Amanda Cabot's books. I have Firefly Valley here ready to read. I love Heather Gilbert's books. She writes in such a fresh and wonderful way, I feel I'm right there with her characters. I especially love Tess's character! Sarah Loudin Thomas, I have loved both of your books! Keep 'em comin'! Trial by Twelve is a masterful suspense novel. I love that it is set in West Virginia and has a married couple as main characters. I hope there is a sequel! Bravo, Heather Gilbert! Blue Columbine is a favorite and can't wait for more of Jen's books to come out. Rachel James is an exciting new author of engaging historical characters. My heartfelt thanks go to everyone who helped make In Firefly Valley the winner of this month’s Clash of the Titles. Your support means so much to me! I’ve said it before, and I’ll say it again: you’re the reason I write. Thank you for your belief in me and my writing. I’ve been delighted with the response to this book. A number of you have told me you think it’s even better than the first of the Texas Crossroads stories, At Bluebonnet Lake. Since I hope that my writing improves with each book, hearing that has been the encouragement I need to work even harder on the next book. Thank you again for your support. I’m excited, overwhelmed and more pleased than I can ever say at having In Firefly Valley win this award. And, for those of you who’ve asked “what’s next?” the third of the Texas Crossroads books, On Lone Star Trail, will be released in February 2016. If you’d like to learn more about that and my other books, I invite you to sign up for my online newsletter. It’s simple: just send me an email. You’ll find the address on my web page. I look forward to hearing from you. 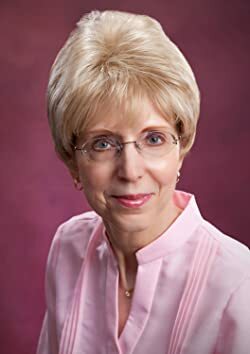 About Amanda: Amanda Cabot is the bestselling author of more than thirty novels including the Texas Dreams trilogy, the Westward Winds series, and Christmas Roses. A former director of Information Technology, she has written everything from technical books and articles for IT professionals to mysteries for teenagers and romances for all ages. Amanda is delighted to now be a fulltime writer of Christian romances, living happily ever after with her husband in Wyoming. Congratulations to Amanda and what a privilege to be included with these authors! Congrats, Amanda! It was a fun week, and an honor to be part of it! Heather and Jennifer -- Thanks so much for the congrats. When I saw the other authors in the contest, I didn't think I had a chance of winning. You're right: it was a fun week. Very sweet - you're all winners in my book. Thanks for playing.